Law enforcement officials investigate a homicide in San Francisco's Oceanview neighborhood (Oct. 22, 2016). A 68-year-old man was gunned down in San Francisco's Oceanview neighborhood Friday night, police said. 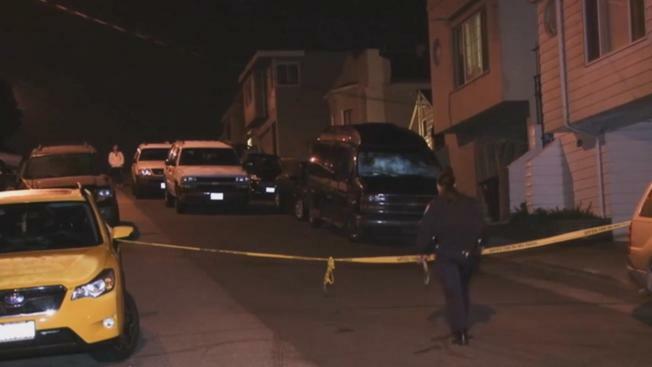 Police responded to a home on Lobos Street near Plymouth Avenue around 9 p.m. to find the victim's body, San Francisco Police Department spokesperson Carlos Manfredi said. Manfredi said that the suspect, believed to be a 65-year-old male, used a handgun. A more detailed description was not available. Law enforcement officials are still combing through evidence and conducting a full investigation, Manfredi said. Further information was unavailable at the time.